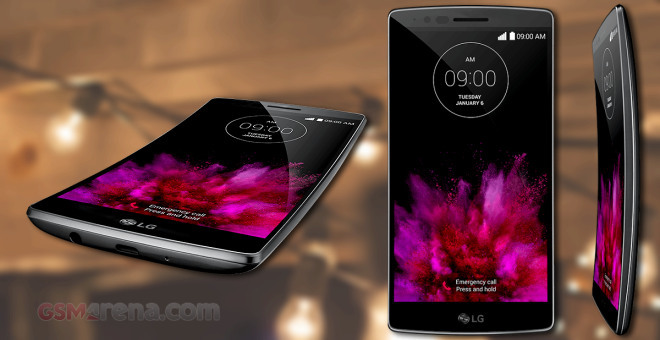 The G Flex2 is powered by a non-removable 3,000 mAh battery, which is about 15% less than its predecessor. The Snapdragon 810 chipset supports fast charging by default and the provided charger can replenish 60% of the Flex2′s battery in half an hour. We were all eager to check how the S810 hardware does in the battery department and as usual we kicked off our battery routine with the 3G call test. The LG G Flex2 packed enough juice to last almost 18 hours – 7 hours less than its predecessor, but a very good score nonetheless. 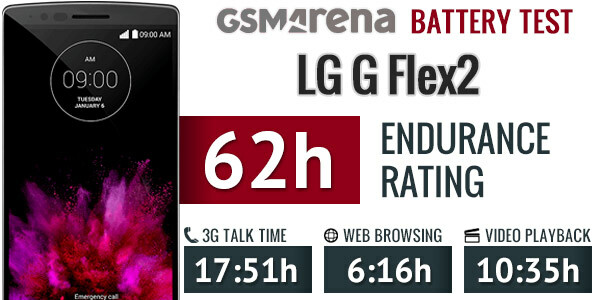 The phone’s Achilles’s heel turned out to be the web browsing performance – the new G Flex2 did very disappointingly at just 6 hours – about 3 hours less than the original Flex. Finally, we left the G Flex2 on a looped video playback and it managed to run for 10 hours and 35 minutes before the battery dropped down to 10%. That’s half the original G Flex endurance, but still more than enough for enjoying 7 full-length movies. The final endurance rating is above average at 62 hours – you can expect the phone to last you two and a half days on a single charge if you do an hour each of web browsing, video watching and calling a day. You may want to check our in-depth review of the LG G Flex2 right here.